Summary: While subordinated debt may not be right for some community banks, others may want to consider it. We provide some helpful information to consider. There is an old saying that 50% of marriages end up in divorce. This originally came from data in the 1970s, but it never got near that level and isn't even close today. The data keeper on this is the Census Bureau and it reports that 72% of people are still married to their first spouse. Of the 28% who aren't, a portion is because their spouse has died. 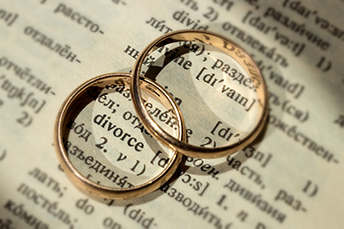 In fact, it has been found that maybe 20-25% of first marriages have ended in divorce. So, now you know. As you ponder the data above, you might also want to take into account some data in the banking world around subordinated debt. To begin with, sub-debt is basically a loan that is paid after all other corporate debts and loans are repaid, in the case of borrower default. To qualify as subordinated debt, regulators require some basics that include: the notes must have a minimum original maturity of at least 5Ys, not be a deposit, not be FDIC insured, be subordinated to the claims of depositors, be ineligible as collateral for a loan by the issuing bank, and be unsecured. Beyond those basic pieces, regulators also require more technical ones such as: after any scheduled payments of principal begin, all scheduled payments shall be made at least annually and the amount repaid in each year shall be no less than in the prior year; and when applicable, ensure no payment shall be made without prior regulatory approval. The data shows community banks are not overly active in subordinated debt issuance, but is that because of complexity, a lack of knowledge in it, opportunity, or something else? According to industry experts, regulatory Tier 1 and total capital requirements indicate that the average community bank could issue about 25% of their market cap in subordinated debt. However, for whatever reason, community banks average only about 5% in subordinated debt. It is critical to get your own experts to help, but at a high level in the market, subordinated debt maturity typically is 5Ys to 10Ys. It is also often interest-only for some or all of that period, with a balloon principal payment due at maturity. The interest rate can vary, however it has been found to reach into the teens. Finally, debt payments on subordinated debt can be a tax-deductible expense on the income statement, while dividend payments on preferred stock are not. Subordinated debt also does not dilute existing shareholders. Legislation has also helped bankers when it comes to using subordinated debt. In Dec. 2014, Congress passed legislation that increased the total asset size for holding companies to qualify for exemptions to capital guidelines under the Small Bank Holding Company Policy Statement. While debt financing is available to bank holding companies of any size, bank holding companies with less than $1B in assets have more flexibility. While subordinated debt may not be right for some community banks, others may want to consider it. Contemplate your options, the current cost of capital and where your bank is on its growth curve, to come up with the best possible marriage for your bank's capital structure. Fed Vice Chair Clarida stated that there should be a "gradual" approach to increasing rates with the data to back it up. He also said that we are "much closer" to a neutral rate level. At this point, the market expects 1 more rate hike in December and a few more next year. The Wall Street Journal reported that Chicago Fed president Evans said he supports the Fed continuing to raise rates given a strong economy and in an effort to "get back toward something that's more normal". After 2Ys of regular rate increases, the Fed said it will need to assess short term signs of the strength of the economy vs. long term to find the neutral rate. The Fed is expected to next hike the target fed funds rate to between 2.75% and 3.00% in December.